The security industry continues to be challenged by the lack of trained and qualified security professionals. To help you benefit from what CSO magazine calls, “a force multiplier for every other security device within a network”, RedSeal is taking away the need for you to find one more network security expert. 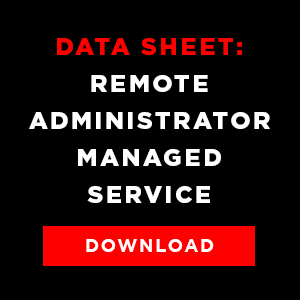 RedSeal’s Remote Administrator service gives you a model of your network that is continually updated so you can have accurate information to validate your security posture, accelerate your investigation, and increase your productivity—all of which will work to increase your network’s digital resilience. For a list of RedSeal Deliverables, download our data sheet here. Since RedSeal is augmenting your team, not replacing it, we’ll need contacts within your organization for ongoing configurations, credentials. Service available internationally. Remote administrator available M-F during US business hours.